Renishaw, a West Dundee, IL-based manufacturer of advanced metal additive-manufacturing (AM) systems, has opened an AM Demonstration Centerin Newbury Park, CA. Working in collaboration with Ibex Engineering Services, the center is situated within Ibex's headquarters and allows visitors to explore, interact with, and use Renishaw's metal-AM systems. In metal AM, orientation on the build plate can be a head scratcher, to say the least. Proper orientation optimizes support-structure needs and functions, minimizes thermal distortion, reduces printing and finishing time, and, overall, produces an optimal part. But getting to the right orientation is quite a trick. In fact, often there is no "right" orientation, only an optimized solution with tradeoffs made along the way. 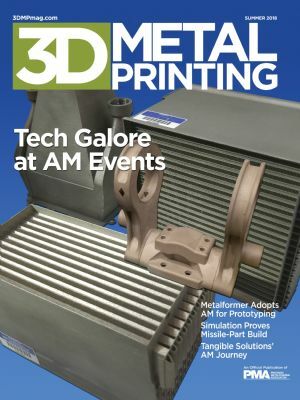 3DMP talks to an AM expert on the topic, and explores software that promises optimization answers. Switzerland-based Sonova Holding AG, provider of Phonak hearing aids, has scored a first with its award-winning Virto B-Titanium hearing aid, printed via selective laser melting. The device is the smallest and most discreet hearing aid Sonova has ever produced and, according to the company, the world's first mainstream custom titanium hearing aid. High volumes, productivity and cost-per-part often are cited as reasons why AM, especially with metal materials, is not conducive to automotive-industry production applications. Challenging the status quo, one company reports working on a specific automotive project using the laser powder-bed-fusion process to produce 384 qualified metal parts in a single build. Vader Systems worked with University of Buffalo researchers and economic-development officials to propel its startup. 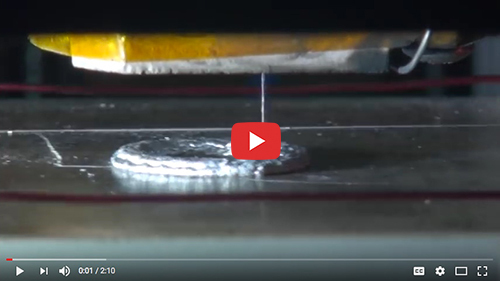 Check out the UB video showcasing the technology, and read 3DMP's AMUG and RAPID + TCT Roundup in the Summer 2018 issue to learn more about Vader's new printers. This project proved out simulation in supplying a cost-effective AM part for the U.S. Missile Defense Agency. 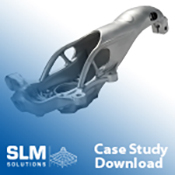 …enables this supplier of stamped automotive-exhaust components to study fluid dynamics and study environmental factors to quickly and cost-effectively validate iterative part designs. 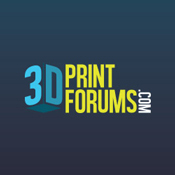 ☉ Form-Follows-Function Success: 3D-Printed Coolant Nozzles—To unlock the huge opportunities offered by 3D printing, designers need to rethink their approach. Coolant-system experts at Grindaix are doing exactly that as part of a joint project to develop concepts for printing different nozzles in a single operation on large-scale 3D printers. ☉ Material Testing Key to AM Quality Management—Testing machines and software pay off big time for manufacturers of aerospace parts, and makers of the machines used to print them.